Why did tycoon Andrew Carnegie keep Bill Jones' portrait in his bedchamber? Gratitude? Because Jones, the engineering genius, made the Carnegie-owned Edgar Thomson Steel Works (ET) the world's most profitable steel mill. Guilt? Just two days after Jones' death, Carnegie's business representative and attorney visited Jones' grieving widow, Harriett. 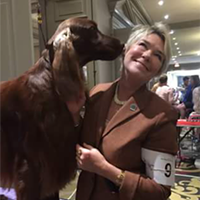 They persuaded her to sign over the rights to Jones' patents for $35,000, a pittance of their actual value and just $10,000 above Jones' annual salary. Was Jones' death following an explosion the result of criminal behavior? 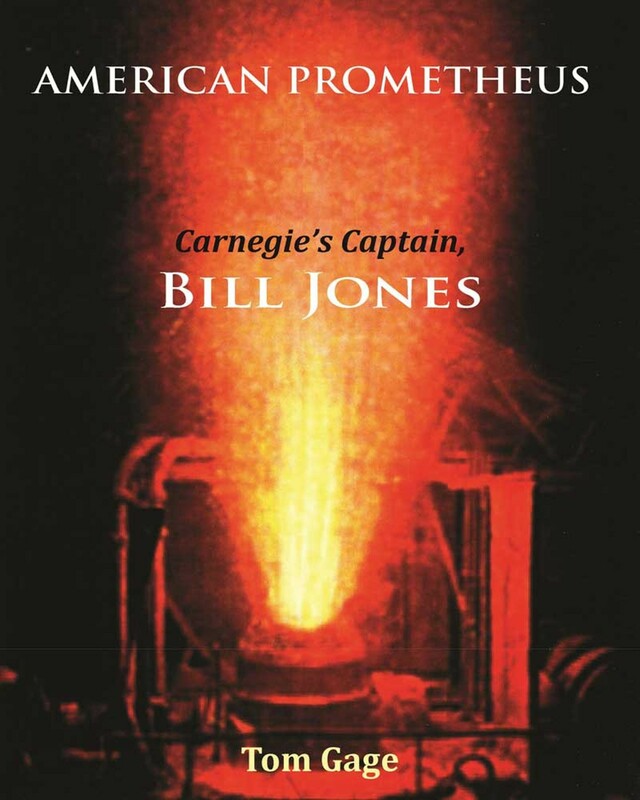 These questions intrigued me after reading Tom Gage's American Prometheus: Carnegie's Captain, Bill Jones, Humboldt State University Press (2017), 260 pages, $14.99. I remembered Carnegie's philanthropic focus was constructing libraries. 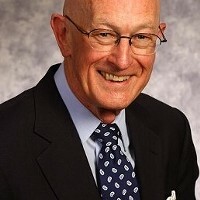 I studied English under Gage (he's a professor emeritus) in graduate school at Humboldt State University. But I knew nothing about Bill Jones. Although Jones was the author's great-grandfather, American Prometheus isn't a hagiography, but a "family memoir" and "detective story" about a dramatic historical figure. The title evokes the Greek Titan who defied Zeus by lighting a torch from the sun and giving fire to humanity. 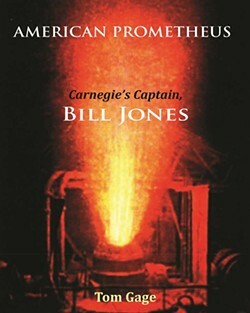 Jones upholds the comparison, as his inventions, especially Jones Hot Metal Mixer — "The Cradle of Civilization" — helped fiery furnaces expand America's industrial progress. 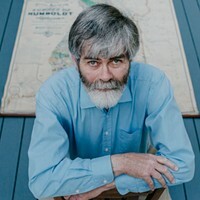 Jones' formal education ended at age 10 after being expelled from school for fighting with a teacher, so he read voraciously and educated himself. He later fought in the Union Army during the Civil War. The American Prometheus war chapters provide realistic glimpses of soldiers' daily rigors and ill-fated charges in mud and smoky fog. The 23-year-old Jones survived but with psychological damage. At the Battle of Fredricksburg, cannon fire, shrapnel and rubble from blown-up buildings started a fear Jones carried the remaining 27 years of his life: being blinded. This trepidation challenged a man facing molten sparks of iron and steel from fiery furnaces. Jones' courage under pressure included his role in the aftermath of the 1889 Johnstown Flood. He took 170 men from ET — closing the mill cost $15,000 per day — and led them to Johnstown, where they helped survivors and extricated the dead from debris. The catastrophe was so great — 2,209 people died — the telegraph agent wired for more undertakers, not physicians. As mill superintendent, Jones embraced fair labor practices. He advocated the eight-hour workday. He had a baseball diamond built so integrated teams from ET's diverse workforce could play, which would reduce workday friction. Gage benefited from family oral history about Jones and Carnegie. The author's research included interviewing historians and investigating the Annandale Archives, a facility storing private steel industry records in a former Pennsylvania limestone mine. American Prometheus provides black-and-white photos of family members and people with significant roles, and a "Cast of Characters." Bill Jones' portrait, which hung in Carnegie's bedchamber, precedes Gage's extensive 16-page bibliography. But I wanted something more at the end of American Prometheus: an index. Listing the major people, places and events, with related page numbers, would have helped me return to thought-provoking vista points. Neil Tarpey is the author of Flashes of Lightning, a collection of short, short stories. He's a retired sports writer, counselor and college instructor. He's writing a murder mystery set in Humboldt County.